Until recently the charismatic native parrot has been considered “technically extinct” in the Abel Tasman as only a few wild male kākā remained. 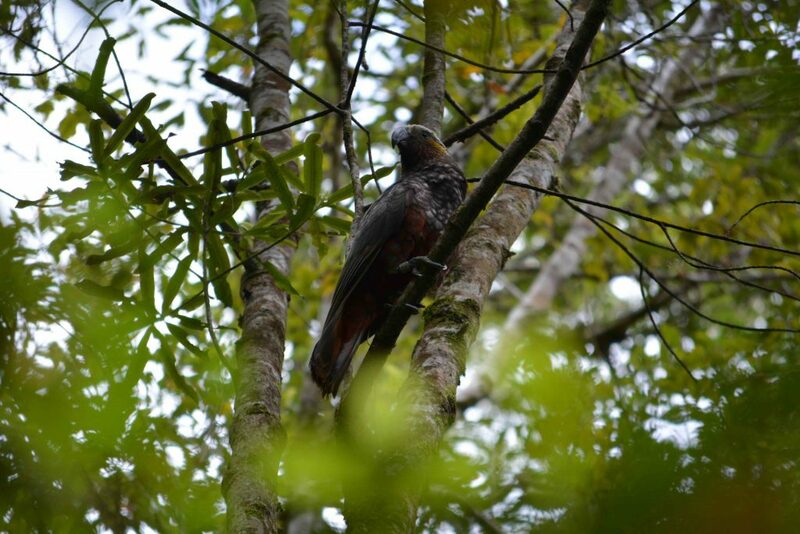 Project Janszoon and the Department of Conservation first began releasing captive raised female kākā into the park in 2015 after undertaking extensive predator control. Project Janszoon Director Bruce Vander Lee says monitoring has shown one of the captive bred females and a wild male have paired up and successfully had four chicks that recently fledged. “This is fantastic news. A captive raised female has not only survived in the wild but found a wild male and successfully bred. We are especially pleased the wild male has been able to contribute his genes to the population. Two kākā have become six, it’s the first step to a kākā population recovery in the Abel Tasman,” he says. 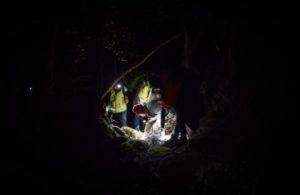 Nearly 95% of the Abel Tasman National Park is now stoat trapped, and the nest was found on the edge of an area which has had aerial predator control using 1080. A successful nest is an early indication pest control is working but additional measures were also taken to protect the young chicks with a section of the tree being wrapped in slippery, heavy duty plastic to make it harder for predators to climb the trunk to the nest. DOC biodiversity ranger John Henderson says Project Janszoon and DOC team members braved a swarm of wild bees to check on the kākā chicks. 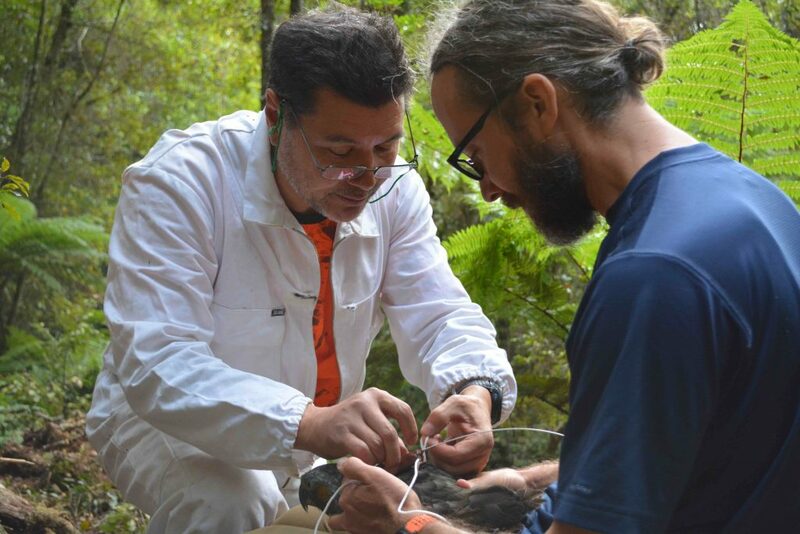 “Radio transmitters have been attached to all four kākā chicks so we can follow their progress. We have been monitoring them regularly and they have all successfully fledged and been seen flying. 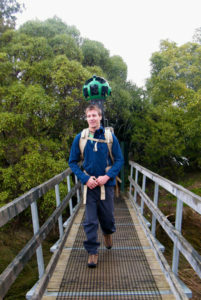 This is great news for the kākā population in the Abel Tasman,” he says. DOC and Project Janszoon are hoping to release up to 25 captive bred kākā in the Abel Tasman in 2019. The birds have been taken as week old chicks or eggs from nests at Nelson Lakes and Kahurangi National Parks over summer. They are currently being raised by captive-breeders throughout New Zealand. All of the of wild pairs whose eggs were taken for this project have since re-nested. By releasing captive bred chicks from wild nests in the Top of the South we reduce the risk of inbreeding, and also ensure that kākā in the park have the same genetic background as those in other parts of the northern South Island. 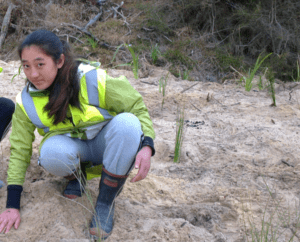 Thanks must also go to Department of Conservation rangers, and Abel Tasman Birdsong Trust volunteers, who regularly check stoat traps in the park.